Will Delhi University’s Dr Deepak Pental eventually agree with his British-based counterpart that GM crops are not ‘the answer’? In July, India’s Genetic Engineering Appraisal Committee (GEAC) – the government’s regulator for transgenic products – recommended GM mustard for “consideration for environmental release and cultivation”. GM food has long been actively opposed by activists and politicians in India because of fears that it could compromise food safety and biodiversity. Some experts have also questioned claims that GM crops are more productive than normal varieties. Bt cotton production has declined and pests are proliferating. There is also political opposition: the Rashtriya Swayamsevak Sangh (RSS – national volunteer organization) and the Swadeshi Jagran Manch, both of whom share the ruling party’s ideology also oppose GM food and want to promote local varieties instead. First Post reports that Dr Mira Shiva, widely respected for her medical work with children, wrote a letter to Prime Minister Narendra Modi endorsed by 34 doctors and medical experts from across the country. Similar objections are voiced at length on the website of the American Academy of Environmental Medicine, an international association of physicians and other professionals interested in the clinical aspects of humans and their environment, which provides research and education in the recognition, treatment and prevention of illnesses induced by exposures to biological and chemical agents encountered in air, food and water. The Hindustan Times now reports that GEAC has deferred approval of the commercial release of the genetically modified mustard developed by the Delhi University-based Centre for Genetic Manipulation of Crop Plants – or ‘frozen’ it, according to Reuters. Last December this site reported that Tracy Worcester is drawing attention to the subject of antibiotic resistance, which is growing – developing not in humans, but in bacteria that can then infect humans. Surgical and cancer chemotherapy patients rely on antibiotics to protect them from potentially life-threatening illnesses and declining efficacy could turn routine procedures into life-threatening ones. The Organic Research Centre now reports that a new study carried out by scientists at Cambridge University, looked at 189 UK-origin pig and poultry meat samples from the seven largest supermarkets in the UK (ASDA, Aldi, Coop, Morrisons, Sainsbury’s, Tesco and Waitrose). It tested for the presence of E. coli which are resistant to the key antibiotics for treating E. coli urinary-tract and blood-poisoning infections in people. The highly resistant ESBL E. coli was found on meat from all of the supermarkets. The research found rising levels of resistance in chicken meat, with 24% of samples testing positive for ESBL E. coli, a type of E. coli resistant to the ‘critically important’ modern cephalosporin antibiotics. This is four times higher than was found during a similar study in 2015, in which just 6% of chicken tested positive for ESBL E. coli. Modern cephalosporins are widely used for treating life-threatening E.coli blood poisoning in humans. 51% of the E. coli from pork and poultry samples were resistant to the antibiotic trimethoprim, which is used to treat over half of lower urinary-tract infections. In addition, 19% of the E. coli were resistant to gentamicin, a very important human antibiotic used to treat more serious upper urinary-tract infections. The findings provide further evidence that the overuse of antibiotics used to mass medicate livestock on British farms is likely to be undermining the treatment of E. coli urinary-tract and blood-poisoning infections in humans. Some of the antibiotics tested are used in far greater quantities in livestock farming than in human medicine. Sign a letter to retailers. Tracy points out that we have the choice to buy meat with the high welfare labels RSPCA Assured, Outdoor Bred, Free Range or Organic – eat less meat as Anna advocates – or go meat-free. See the World Health Organisation on the health issues here. Organic farming is perceived as providing a better quality of life for farmed animals and an earlier article reports that a new financial report on organic farming in England and Wales for 2014/15, undertaken by the Organic Research Centre for the Welsh Government, shows organic farm profits increasing, with organic dairy farming outperforming conventional dairy farming in England and Wales. In particular, the organic dairy industry is now generating higher profits than conventional farms despite producing lower yields. Animal welfare has been a key motivator to consumers who are increasingly choosing organic products with quality assurance standards, because they want to know the origins of their food, and are willing to pay more for products which are ‘friendly’ to wildlife and the environment. Professor Nic Lampkin from the Organic Research Centre in Newbury, was one of the co-authors of the report and the Cambridge study was commissioned by the Alliance to Save our Antibiotics, of which the Organic Research Centre is a member. BT cotton’s whitefly problems in Punjab & Haryana: why is the M-word avoided? With thanks to Eva Novotny for the lead to this news in GM Watch and to Devinder Sharma for some cheering news on the subject. To date not one newspaper report has mentioned Monsanto, the manufacturer of this technology. An online search reveals that only a Global Research headline (article first published in July 2015), relating to farmer suicides, has done so, presumably braving litigation. 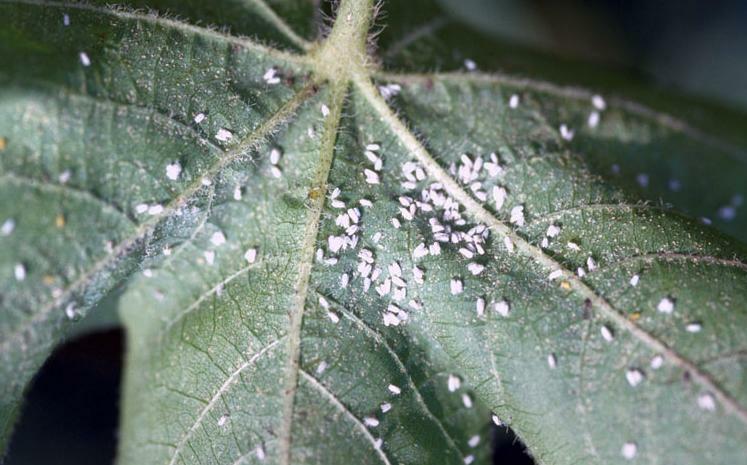 Prof Ashok Dhawan, former head of the entomology, Punjab Agricultural University, Ludhiana, said, “The whitefly attack can lead to 30%-40% drop in average yield in the affected areas. Spraying pesticides is not the best solution. Farmers need to follow a composite plan. We need varieties that are resistant,” said Prof Dhawan. The Indian Express adds that agriculture experts at Muktsar, Bathinda and Fazilka believe the improper use of insecticides was the primary reason for the whitefly attack in the state, noting that all the farmers who had used an excess of urea had their crops affected. However when asked, experts said there is no scientific reason which can connect urea usage with white fly attack. Farmers in Nidana and Lalit Khera, two tiny and nondescript villages in Jind district of Haryana, are oblivious of any threat to their cotton crop. In fact, while Haryana farmers are a worried lot, whitefly attack is non-existent in a cluster of 18 villages in the same district. They do not spray any chemical pesticides for several years now and have instead been using benign insects to control harmful pests. This year too, they allowed the natural predators of whitefly to proliferate, which in turn killed the whitefly. In other words, these farmers have learnt the art of maintaining insect equilibrium in such a manner that the benign insects take care of the pests by not allowing insect population to cross the threshold level. “We don’t have any problem from whitefly,” Ranvir Singh, a farmer, informed me. 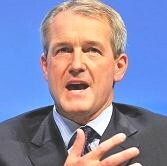 As Monsanto (renamed in Windscale damage limitation mode) plans a British HQ for its new company – if it can acquire Syngenta – former Secretary of State for Environment, Food and Rural Affairs Owen Paterson [below right] once again trots out tired myths about the virtues of genetic modification of crops. He is said to be assisted by his brother-in-law, Viscount Matt Ridley, a genetic scientist who is a visiting professor at Cold Spring Harbor Laboratory (CSHL) in New York which has received funding from Monsanto and Novartis. His long-term support for the technology, first highlighted in a ‘civilian’ September 2012 speech at the Rothamsted Research facility, inviting GMO innovators to take root in the UK, was followed by his DEFRA appointment. Minister Paterson, in partnership with the Agricultural Biotechnology Council, financed by GM companies Monsanto, Syngenta and Bayer CropScience, frequently lobbied the EU on the desirability of GM crops. Last April he refused a Freedom of Information Act request to supply details about meetings between the Department for Environment, Food and Rural Affairs (Defra) and the GM industry trade body. He had to leave DEFRA, having extolled Britain’s shale gas reserves, ‘an unexpected and potentially huge windfall’, and mishandled the summer floods and badger culls. He then set up a think tank UK2020. Millionaire-founded, it steers clear of direct funding from GM industries but vigorously promotes the technology at events such as last year’s South African agricultural biotechnology media conference, hosted by ISAAA which receives donations from both Monsanto and Bayer CropScience. Reports are coming in about the leaked papal encyclical on dangers to the environment but many failed to mention the references to genetically modified crops. It adds to the call for dialogue on this and other environmental issues voiced by the Vatican in 2013. FW reports that he highlighted “significant problems” with the technology that should not be minimised, such as the “development of oligopolies in the production of seeds” and a “concentration of productive land in the hands of the few” that leads to the “disappearance of small producers”. Did it refer to GM herbicide resistant weeds and GM insecticide resistant insects? The pontiff said the spread of GM crops “destroys the complex web of ecosystems, decreases diversity in production and affects the present and future of regional economies”. 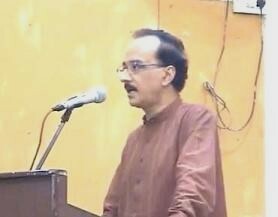 On the use of pesticides in agriculture – and GM cultivation – he warned that many birds and insects useful to agriculture are dying out as a result of pesticides created by technology. 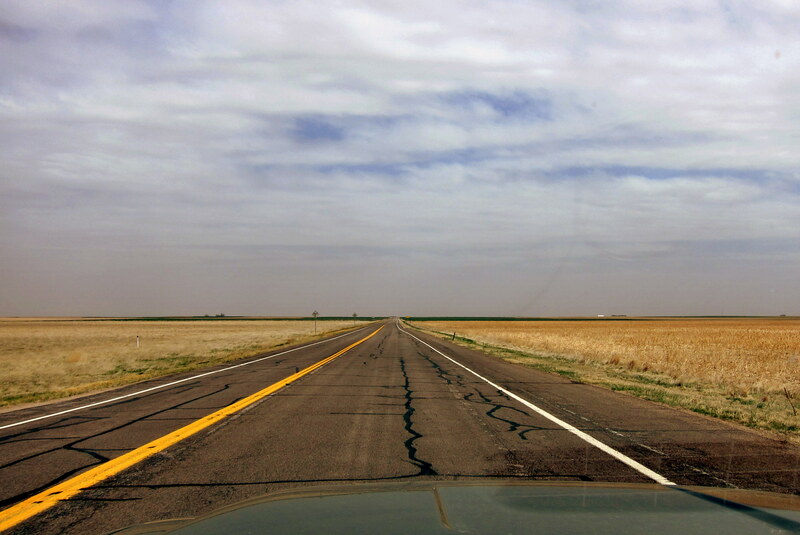 I see the landscape in farming country in Iowa & Nebraska – not a tree or bush in sight. Not one weed. The pesticides & weed killers spayed on the crops have killed off everything except the GMO crops! There go the butterflies, the bees & all other beneficial insects that pollinate our crops. It’s a sickening thing to see & it spells total disaster. I applaud the Pope for taking a world view of our problems. No other Pope has ever bothered with anything other than spiritual problems. Good for Pope Francis! The religious leaders — of all faiths — have been very slow to enter this debate, partly because they have been put under intense diplomatic pressure by the GMO/agrichemical industries and by the US and other governments. But the Christian understanding of the word “stewardship” is a very important part of the faith, and it’s great that Pope Francis is now prepared to explain it in terms of a global responsibility to look after the poor, to look after the environment and to maintain the purity of food and water. The GMO industry, and its acolytes, bang on all the time, quite cynically, about GMOs being needed to “feed the world” in a future full of uncertainties. It’s nonsense. of course, and the Pope’s intervention at this stage is of vast significance. You can find the full draft encyclical here (in Italian): speciali.espresso.repubblica.it/pdf/laudato_si.pdf and comments on a translation. Will the destructive profit motive triumph in Europe, even as America – beset by high rates of cancer, heart disease and obesity – imports GM free foods? In April Bloomberg business news carried news of American consumers increasingly seeking milk and food products free of GM ingredients and of the surge in GM-free imports – 33% imported from sensible Romania where many communes and four cities have declared themselves GMO-free. In an increasingly urgent quest to restore profit, the BBC reports that the Beijing News and the Beijing Times, urge Chinese shoppers to “discard their prejudice” against GM foods as part of a government campaign. An online search will show many reports that imports of GM food have been rejected or ‘approval suspended’ by China, Japan, South Korea and Russia. So the industry turns yet again to Europe. On the sadly emasculated Farming Today radio programme, a spokesman with a clear vested interest (see endnote) says that it’s now ‘morally wrong’ not to allow farmers to use GM technology to feed a growing population. Are Monsanto’s insecticides and herbicides beyond reproach? One argument on the blurb is that farming that relies on pesticides is no longer acceptable. It fails to mention insect resistance to use of Monsanto’s insecticides and the fact that Monsanto’s seeds rely on the use of its herbicide Roundup (toxic glyphosate) which a report published recently in the journal Lancet Oncology, by researchers for WHO’s International Agency for Research on Cancer, said was probably carcinogenic to humans, farmers, forestry workers and domestic gardeners – a damaging conclusion which Monsanto has called on WHO to retract. In addition to this health concern there is the environmental and agricultural problem recorded earlier on this site, which carried recent news of Monsanto’s reduced profits due to increasing weed resistance to Roundup; USDA records that 14 glyphosate resistant weed species have been documented in the US. those who oppose it presented as weak-minded idiots. Campaigners are reported as saying – on the blurb – that not enough is yet known about its potential harm to the environment and the public – whereas there are MASSES of evidence of potential harm; for one example see links to WHO and USDA evidence of weed resistance. How often must all these tired allegations be refuted? Will campaigners eventually cease though sheer boredom (the writer is wilting) – and will the destructive profit motive triumph? In 2005 after leaving Greenpeace, Stephen Tindale announced his support for nuclear power and GM crop technology. He co-founded ‘currently unfunded’ Climate Answers, has been a consultant for RWE, one of Europe’s five leading companies, generating electricity from gas, coal, nuclear and renewables, and is an Associate Fellow at the Centre for European Reform in which corporate donor, Bayer, represents GM interests.